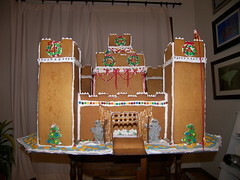 Most Amazing Gingerbread Castle, Ever! 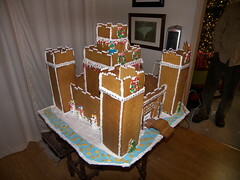 After one day of designing (auto-cad), 3 solid days of baking and one solid day of construction/decorating we have managed to construct the most amazing Gingerbread Castle to ever have graced the planet. Honestly. It’s so cool. Part of the amazingness is it’s size. The footprint is 25×25 inches around the outer wall. That’s just the wall. That doesn’t count the towers, which stick out at each corner, or the moat, which encircles the entire thing, or the bridge, which goes over the moat. 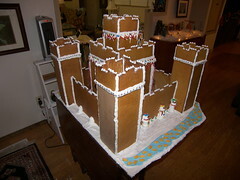 And the central Keep, which is the tallest point, is 23 inches high! Like I said, enormous. And it’s rocking awesome. 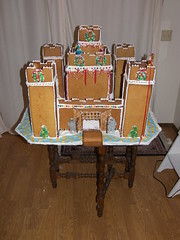 There are several important tricks to a successful Gingerbread House (or Castle!) First, plan. Plan out what you want to do. You need exact dimensions. If you don’t plan, it won’t work. (For my plan, see below.) Work out what your dimensions are going to be. 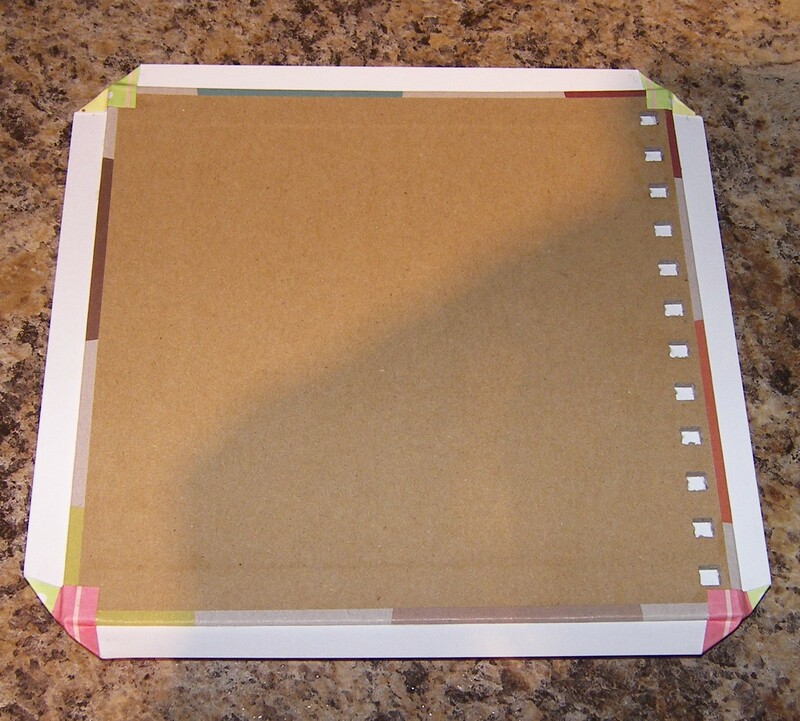 Print (or draw) it out, and cut the pieces out of paper or cardboard. These will be your patterns for cutting around to ensure you cut the right shape and size. Anything you want to cut into the dough (windows, doors . . .) will need to be done before you bake, so planning is important in that respect, too. Second, you don’t want to stress the dough. This means 2 things. First, you want to use something like a pizza cutter (rolling circle blade) or (what I did, as my folks don’t have a pizza cutter) a metal spatula which has a good sharp edge, and can be used to cut straight down on the dough. Don’t use a knife which you’ll have to pull through the dough. 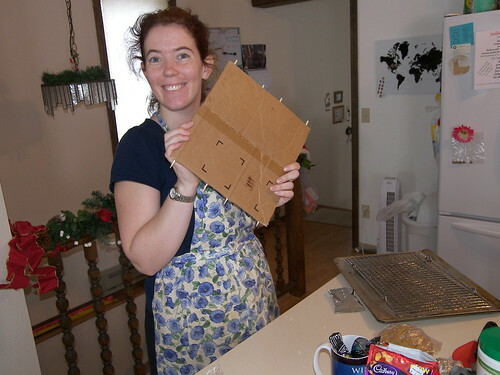 Second, you want to cut out on parchment (much better than wax paper, as you can bake over and over on the same sheet, whereas once through with wax paper, and it’s not going to be usable again) which you can get in the same aisle as aluminium foil or plastic wrap. Don’t try and peel the pieces off the parchment. Simply slide the parchment onto a baking sheet, and pop it all in the oven together. That maintains the shape of the dough, and your corners will match up. You can do unusual shapes (for example, curved) by baking around another object. 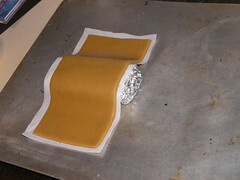 For example, my moat bridge is laid out over the top of a couple of foil rounds so that it bakes in the proper shape. Once baked and COOL (warm it will still be soft) it should be strong enough to support itself. 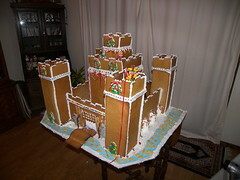 I always bake my pieces a little firmer than you’d really enjoy if you were planning on eating the gingerbread. If you’re doing a large-scale project like this, you really don’t want the weight of the pieces to pull it apart, so baking it to just this side of burnt helps. If you want to eat your project afterwards, I suggest you make something small, so the weight of the individual pieces aren’t so worrying. Even still, I ended up having to reinforce the roof of the bottom part of the Keep (that’s the inner section of the Castle) with cardboard that I’d reinforced with wooden bbq skewers (think: enormous toothpicks). 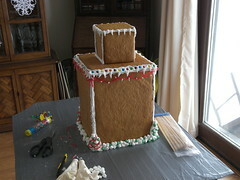 I jokingly call it my Gingerbread Rebar. Here’s all the pieces baked and ready to get set up. Now, once you’ve got everything baked, the next trick is: LET IT DRY! Don’t try to put loads of decorations on the House until it’s dried enough to support itself. 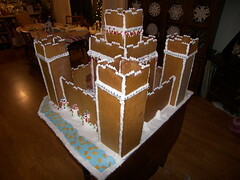 The great thing about Gingerbread Creations is, the more icing the better! The thing about more complex structures is, you may have to construct in stages. For the Castle I had to do the lower Keep, then let it dry, then the upper Keep, and let it dry. 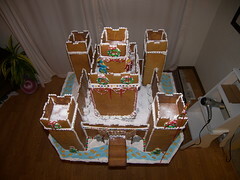 Then we had to do all our decoration along the outside of the Keep walls, because it wouldn’t be possible for us to reach them later. 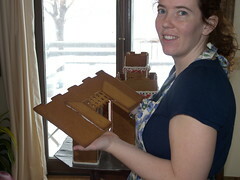 The next stage in the construction was putting together the towers. I had some minor (ok, major) trauma during this process. One of the walls for one of the towers broke. Shattered in my hand, fell to the floor and became cookie crumbs! I nearly cried. Fortunately, it was only one piece, and it could be a back wall, where no one will ever see. So we quickly cut a piece of cardboard to the right shape/size, and stuck it in the back. No one but we shall ever know that it is there. 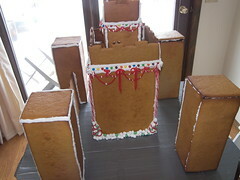 Next, I carefully (very carefully) inserted the outer walls between the towers. This was tricky because in addition to balancing the wall on its edge, I was also trying to make sure that all the walls were going to be centred around the inner Keep. Yeah, that was exciting! And the added challenge for the front wall was, it’s not as strong as the rest, because it’s got this big gaping hole in the middle! But, with help from Dad, we managed to get the walls all installed without any mishaps. 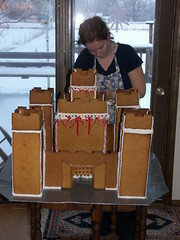 The next secret to successful Gingerbreading is – icing. Use lots of it. If you think you’ve got too much, you’ve probably got about the minimum needed. Make sure every seam has plenty of icing. 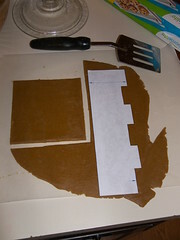 ‘Glue’ the pieces to the ‘floor’, glue them to each other, cover the seams with extra icing, just in case. Finally, it’s all done, and dry and ready for you to start decorating. 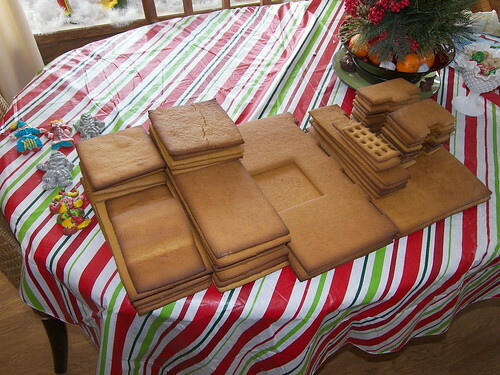 Now, having a plan is for the decorations as well as the slabs of gingerbread. If you know what you need, you’ll have it. You won’t be wishing you’d bought something, or end up with something looking like you threw a bunch of sweets at it and hoped something would stick. 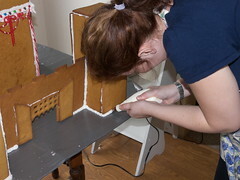 Planning is important for all stages of Gingerbread Creation. That’s not to say you can’t be spontaneous, just that if you’ve got a plan, you will end up with something really special. If you take some time you come up with those special details that make the creation really fun to look at. 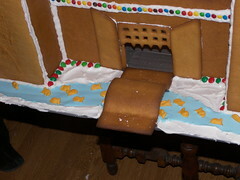 A couple of my favourites are the curved bridge over the moat with fish in and the portcullis with latticing cut into the gingerbread! If you want to build your own, you can download the plans here. 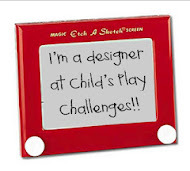 Please, if you make one, leave me a note telling me, and a link, if you’ve got a photo posted! Happy Baking! As you may have seen over on my ‘Real Life‘ (as if Scraping isn’t real life!!) Blog, I had a heck of a trip to my folk’s house in Montana for Christmas. I ended up driving. Yes, Driving. And yes, I really do live in England. Our Story So Far . . . Yes. Canada. Why Canada? Well, it seemed like a good idea at the time. Rather than going to Georgia or Texas and then up, I went from London to Calgary, Alberta. I was supposed to connect to Denver and then to Billings (yes, I know. It’s ridiculous.) However, we were an hour late leaving Heathrow, and then we had to circle the airport for half an hour before we could land. I’d nearly missed my connection before I even left the plane! I got through Canadian customs very fast (I ran to be at the front of the queue) but then got stuck waiting for 30 minutes for them to decide to deplane our luggage. Finally got that, walked over to the connecting area, and they said, ‘Your plane is gone. You’ll have to rebook.’ Nice. That was the last plane Stateside for the rest of the day. After quite a long discussion with the airline personnel, we came to the conclusion that they couldn’t actually get me to the US for 48 hours. Uh huh. 2 days. Ummm… it’s only an 8 hour drive!!!! So, we decided (the reservation woman and I) that it would make most sense for me to cancel the rest of my flight, and drive to Billings. So, I canceled my remaining flight (and got a refund). NOTE! DO NOT DO THAT UNTIL AFTER YOU’VE DEFINITELY FOR SURE GOT ALTERNATE BOOKED!!!! Then I went over to the car rental desks and tried (note the word TRIED) to get a car. Umm, turns out you can’t rent a car in Canada and return it to the US. Or, you can but it’s very difficult and quite expensive. So, there I am, in a foreign country, no way out, jetlagging major time. I didn’t actually burst into tears, but it was an effort. I called my folks (again) and just as I was starting to tell my mom the full situation, the manager of National Car Rental comes up and said, ‘You’ll never believe this. We’ve just had a US car returned, and we need to get it back across the border. I can give it to you for 1/2 the price of a domestic, turn up on the day rental. That’s $150 plus tax.’ (Canadian dollars.) Umm… YES! I’ll take that! 😀 So, I drove out of Calgary last night. Stayed the night in a tiny little . . . I hesitate to say town . . . just north of the Canadian/US border. It was that small. It was a hotel over a bar. The room had a bed, a light, and a sink. That was it. (Everything was very clean, just very spartan.) Smelled faintly of smoke. Didn’t care. It was 10.45 pm local (6.45 am London!) and I was tired. Very tired. I was asleep before 11. But, by 5.00 in the morning, the random plink-plink noises the radiator was making got to be too much for me. I got up and hit the road. And then, the border crossing. For the second time this year I’ve managed to confuse a US Customs Officer on the US/Canadian border. Last time it was because my answer to ‘Purpose for visiting Canada’ was ‘To get a haircut.’ This time it was ‘Driving from England to the US.’ Ok, so what I actually said was ‘In transit from England to the US.’ But, I got an equally blank look. (The answer to the previous question – How long were you in Canada? – was, ‘Over night.’) So, then I had to explain why I was now driving, instead of flying to Montana. Eventually he gave up trying to understand and just sent me on my way. It was funny. Finally, I got to Billings a little before noon Thursday. Yeay!! I’m home!! We immediately drove up to the airport to return the car, then stopped off at WalMart for necessary supplies (DIET COKE!!!! ), and now we’re back. But, don’t worry. There are still some excellent crafting goodness going on, even when I’m attempting the impossible. 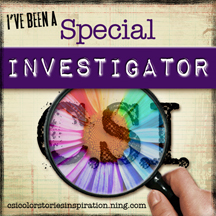 Lanie Ree has another great giveaway over on her blog, which you should really check out. 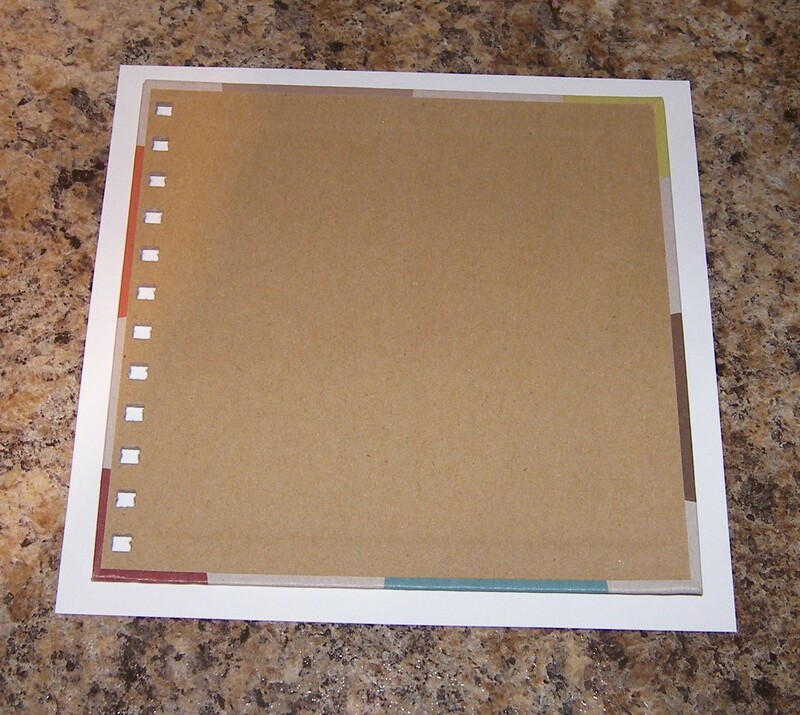 Also, if you’re into Mod Podge, (or even if you’re not, but would like to see a clever fix!) 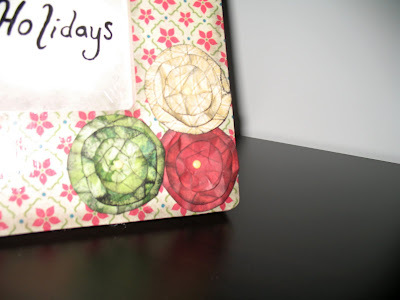 check out her featured mirror on Mod Podge Rocks. One of my dear friends (who occasionally stops by here), Miss LanieRee (Ree, I’ve really got to nail down how I spell my various names for you!!) has done an excellent tutorial on paper flowers that are different from the ones I made! Here’s the Link, and if you have a look around, you might spot a giveaway! If you’re like me, you need some ideas for people you need to give a gift to, but you’re on a tight budget, and don’t have loads of time, ether. 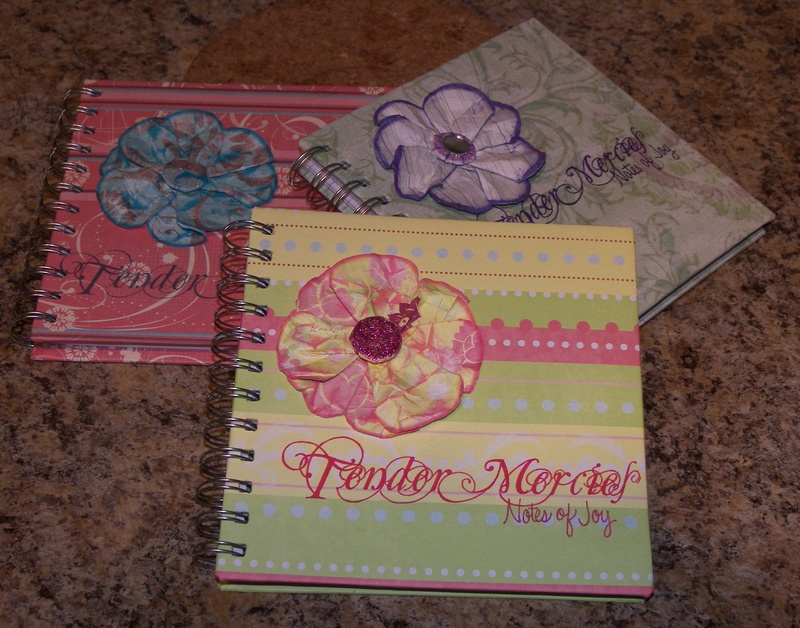 Here’s an idea I had recently: Recover a NoteBook! All the hard work (binding the paper, cutting the paper, etc) is done. You only need 2 sheets of paper. First, you’ve got to find some notebooks that are spiral bound, but the ones that aren’t actually spiral, but that funny type you can open. 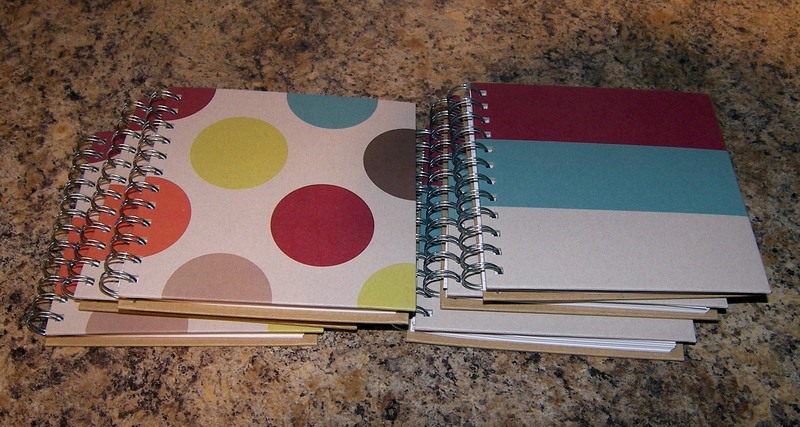 I’ve found these lovely 6×6 notebooks at ASDAS (UK version of WalMart) for only ﻿﻿£1.50 each. Once you open the spine, you can pull the covers off. Once you get the covers off, line up your new covering paper. I’ve cut the paper to be 1 inch square bigger than the cover. So, this is a 6×6 cover, and I’ve cut the paper to be 7×7. Figure out which direction you want your paper to run, and mark the holes of your spine to match. This is really only important if you’ve got a pattern that has a definite ‘up’. Once you’ve got it laid out, smear the top of your cover with adhesive. 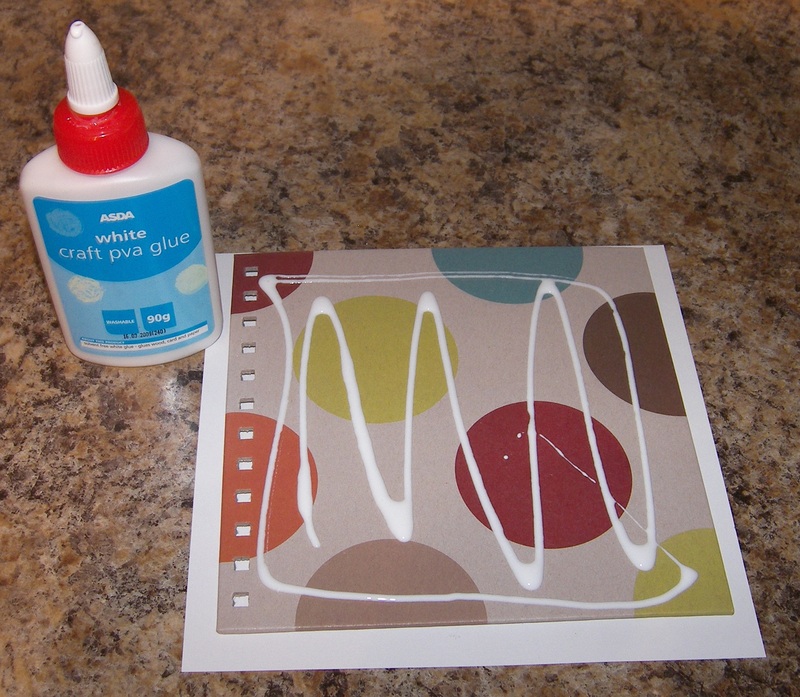 I’m using plain old white craft glue (like Elmer’s). 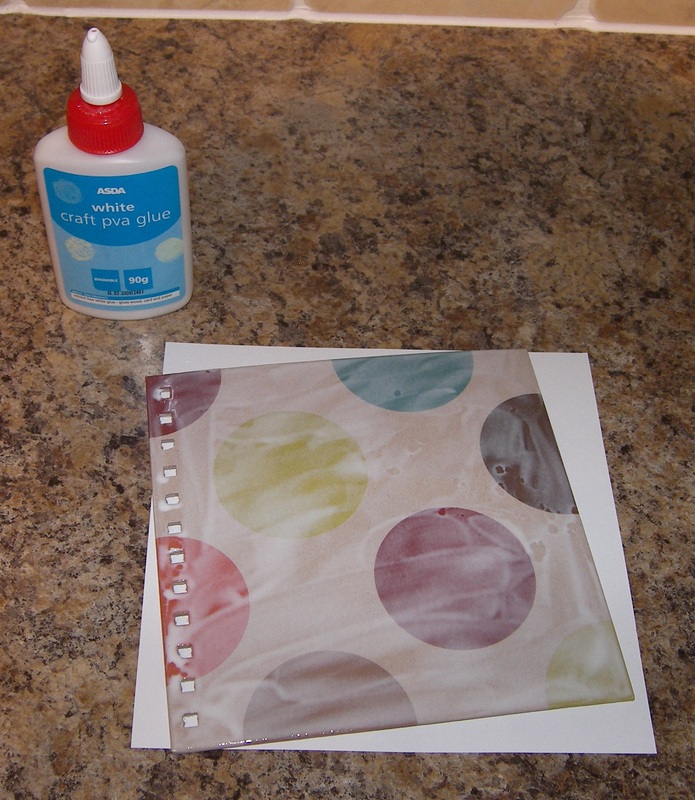 If you smear the whole cover, you’ll help avoid air pockets and rippled paper. 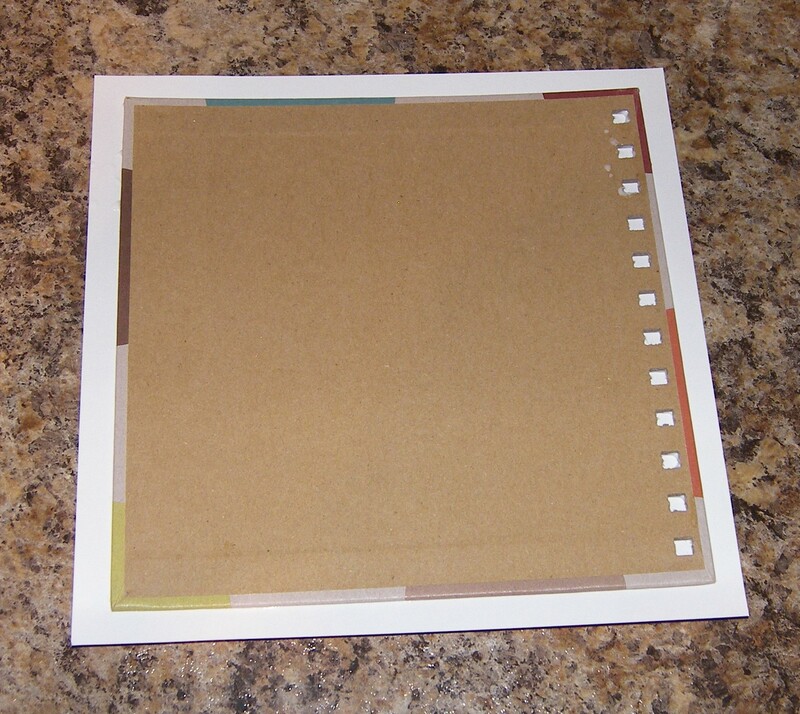 With the paper upsidedown, with any up markings lined up correctly, place the cover on the paper, squaring the corners. I try and get the binding edge as close as possible so that the paper doesn’t overlap the holes on the back later. Next, put a tad of adhesive on the corners, and fold over. 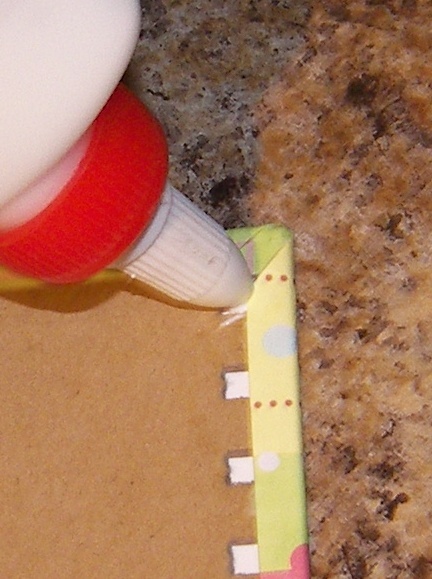 Now, make sure you get enough adhesive on the edges so that there won’t be any loose bit to catch and tear later, then fold the paper edge up and affix firmly. I use a popsicle stick to make it tight. Once you’ve got the edges all folded over, add a tiny dot of glue into each of the holes for the spine. This serves two purposes. 1 – it softens the paper to punch through, minimising over tearing. 2 – it adheres the edges to the insides of the holes so it doesn’t pull up later. Then, once you’ve got the holes touched with adhesive, flip it over. If you’ve got a light box, it’s useful in for the next step. If not, just hold the cover up to the light to find the hole. 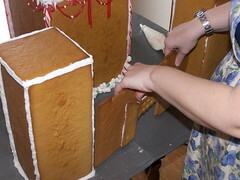 Then, using a thin tool (long needle, or other tool), punch through the front of each hole, and wiggle around. Once you’ve done that, you’ve finished the main body of the cover. All that’s left now is to repeat the process on the back (if desired), reattach the covers to the spine and close the links back up. Decorate to taste, and enjoy the results. Looks very impressive, but doesn’t take much time at all. I’ve used the big flowers from this post to decorate the books. Enjoy, and Happy Christmas Crafting! Aren’t these adorable? They’re super easy, and so eye catching. I just learned how to do them yesterday. That blue one up in the right hand corner is my very first attempt. Cute, eh? That’s how easy it is! Success in one go. Three times. 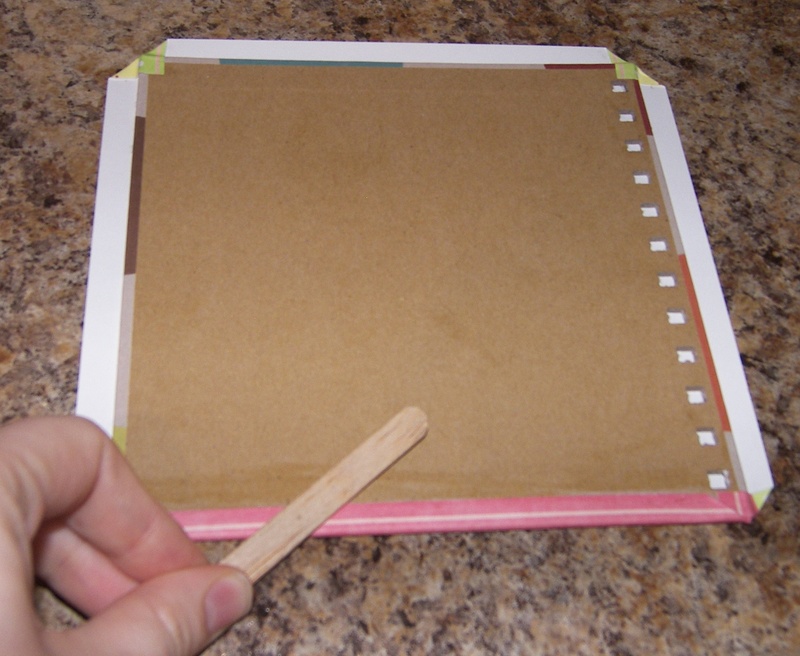 I use a Popsicle Stick to help make the crease sharp. 3 – Holding the triangle with the cut edge up, cut a semi-circle along the top, rather like you would if you were making a paper heart. Sharp scissors are essential for this, as you’re cutting through several layers of paper. 4 – When you open the paper, you’ll discover this lovely flower taking shape. 5 – Crinkle the paper up. This does 2 things: 1 – gives it a lovely vintage feel. 2 – makes the paper easier to manipulate for the next steps. 6 – Flip the flower upside down, pattern down. Set your jumbo brad in the centre. 7 – Gather the petals behind the brad, pinching along the tines of the brad. Wrap a small elastic (1″) 2-3 times around. You want to leave it as elastic as possible, whilst still cinching the paper in. You should have something that resembles a Badminton Shuttlecock at this point. 8 – Spread the petals back out, and set the tines of the brad. This is where the elasticity of the rubber band is important. The more stretch, the flatter your flower can be. 9 – Ta da! Now your flower is ready for any additional decorative touches (I quite like using a bit of bling/glitter). 10 – Use on a project. If you need further instructions or additional clarification on any point, feel free to leave me a note here, and I’ll get back to you. I’ve been practicing on the chipboard cutting thing. I think I’ve just about got it sorted. Some of them are actually looking pretty good. Others, a little shaky. However, because I’m going to cover them, I figure that it doesn’t matter if they’re a bit scared in the preliminary steps. Basically, what I’ve learnt was, start off with the blade length on 3. Cut. Unload mat. Reload mat. Increase blade length to 4. Cut. Unload mat. Reload mat. Increase blade length to 5. Cut. I’ve not had success in cutting on either 5.5 or 6, but that might be just me. After I finished cutting with the Cricut, I had to go in with a straight blade (Stanly/Exacto Knife) and finish the cut. That was hard work, but because the Cricut did the first 1/2, I was able to follow the line, and the cut was (mostly) smooth. It needs some sanding, though I’ve taken the worst of the edges off already. When I cover them, they’ll need to be sanded, anyway. So. That’s how things stand on the Technique end. For this particular project, they’re shaped like the US Rout Shield (like, Rout 66). It was a road trip with my Gran, from Florida to Michigan. I could have used the Interstate Shield, but the US Rout has that cool swoop, whereas the Interstate ones are just rounded. I cut them with the Cricut ‘Going Places’ Cart. They’re 6×6. I’ve currently got 16, but I’ve got 4 more sheets of chipboard, so if I need to, I can double them. But 16 sheets = 32 sides, which really means 30 pages, because the front and back won’t be normal.